The US bank prime rate remained unchanged, at 3.25 percent. Some credit cards still quote their rates in terms of a standard premium over the prime rate (e.g., prime plus 9.99 percent). This may once have helped those cards adapt their interest rates more seamlessly to changing interest rate conditions, but now it has contributed to a very stable period for credit card rates, because the prime rate has been unchanged for an unusually long time. In the latest survey of credit card rates, the only changes were due to some updates in the business card categories, which will be explained in the section on business credit card rates later in this article. 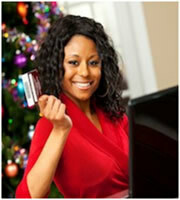 One thing that might shake up the stability of credit card offers is a surprisingly strong 2011 holiday shopping season. The four-day weekend beginning with Thanksgiving, known to shoppers as the Black Friday weekend, provided a very encouraging kick-off to this shopping season. According to the National Retail Federation, Black Friday shoppers reported spending $52.4 billion over the weekend, a robust 16.4 percent increase over the same weekend last year. It remains to be seen whether this momentum can be sustained, or whether the impressive Black Friday results were simply the result of aggressive promotions prompting consumers to front-load their holiday shopping. If the growth is for real, it could shake up the environment for credit card rates. While a strong economy generally leads to higher interest rates, the increased activity by shoppers may lead to a different response from credit card companies. Since credit card companies earn a portion of every transaction, increased activity boosts revenues, and might lead some credit cards to lower their rates in an effort to capture a bigger share of that activity. The average rates on credit card offers were unchanged in both the consumer rewards and non-rewards categories in the second half of November. This extends a long period of stability for these rates, but if the Black Friday retail numbers indicate a trend towards stronger economic growth, the increase in consumer activity could make this category a focal point for changing strategies among credit card companies. Student credit card rates remained unchanged in the latter half of November, maintaining levels established during August. Average rates in the two business credit card categories changed in late November, due to an updating of the constituents of these categories to reflect changes in the business credit card offers available. As a result, the average business non-rewards credit card rate rose by 63 basis points, to 14.74 percent. Meanwhile, the average business rewards credit card rate dropped 23 basis points, to 15.53 percent. These changes were caused by the increasing scarcity of business non-rewards credit cards, which has been a trend throughout this year. This can affect how a business manages its credit cards. Businesses that occasionally run a credit card balance benefit from the lower interest rates offered by non-rewards cards. Businesses that don't tend to run credit balances can use rewards cards without being affected by their higher rates, but should put policies in place to make sure the rewards are put to their intended use. With no change in consumer credit card offers, the spread between rates for customers with strong credit and rates for people with average credit remained unchanged at 4.07 percent. 0 Responses to "Business credit cards reflect increasing rewards trend"